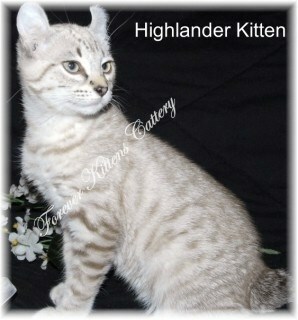 Highlanders Raised in our homes as pets. Look like a wild cat, cuddle like a house cat. Curled Ears, Short tail, Poly feet.